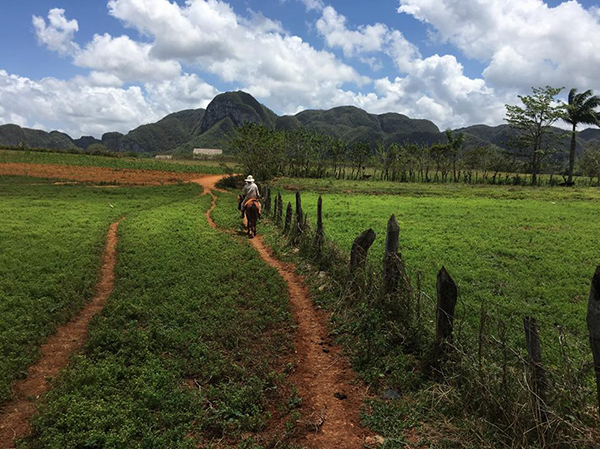 One must pay a visit to a breathtaking town called Viñales located a little over two hours away by car from Havana. 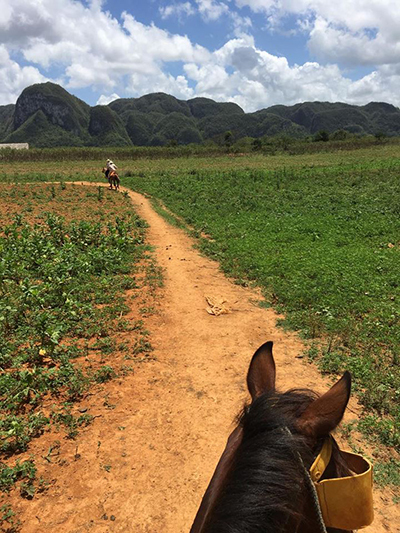 If you love horseback riding, Viñales offers the perfect backdrop of mountain forests, caves and endless tobacco fields. You will literally feel as if you are in a movie. 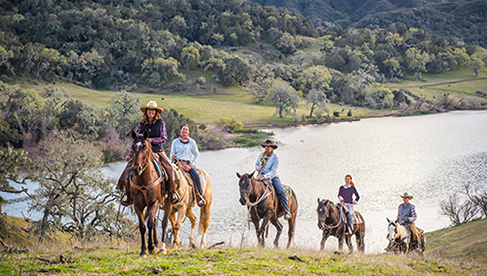 Visitors can go on many trails led by local trail ride guides that will lead you anywhere you like. 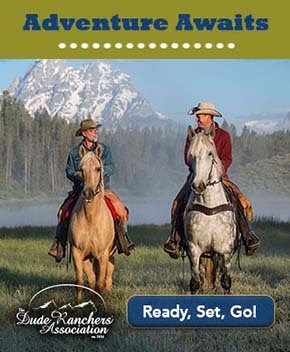 Make sure to request a visit to a local tobacco farm during your ride. To see it yourself, a local tobacco farmer will show you how they grow and hand make cigars. You can also purchase the cigars directly from the local tobacco farmers at less expensive prices than most shops. After, stop for food and a drink at local cafés nestled through out the town. 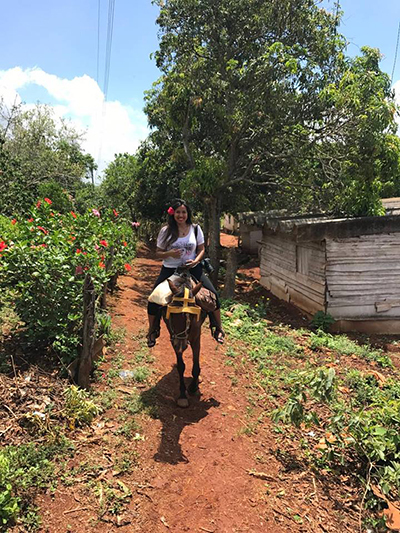 Our trail ride guide took my friend and I up a big hill to a family owned café called El Corazon del Valle. We learned this café goes back three family generations. 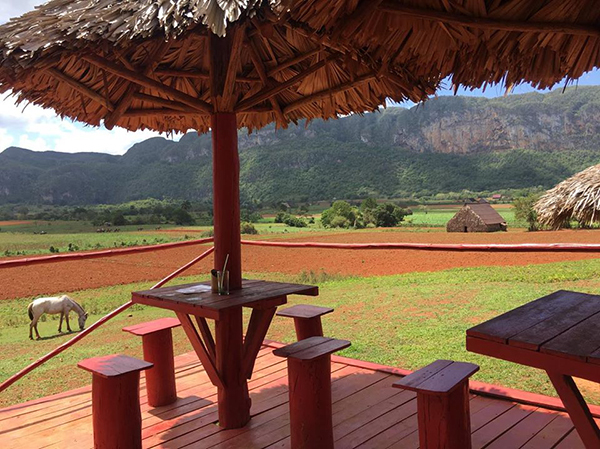 The perfect setting for visitors to enjoy a refreshing Mango, Lime, Orange or Guava juice while overlooking the incredible views. About the Author: Jeannette Ceja is a Bilingual Lifestyle TV Host and Travel Reporter whose work has appeared in Los Angeles Travel Magazine, Press Pass LA, Viva LA, Luxuria Lifestyle and Attract Magazine. 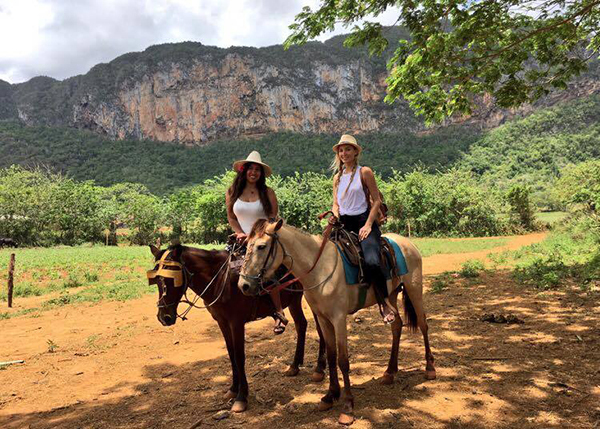 Her passion for travel has taken her to over 20 countries to date. Learn more on Jeannette's website.